The Cannes Lions International Festival of Creativity Film Jury awarded one of its top prizes to a mould-breaker in the category: a spot from Geico’s “Unstoppable” campaign that dares viewers to try and stop watching ads in which “nothing” happens. The jury also bestowed the honour on a beautiful Leica film that brought life and historic weight to the challenged field of photography, while the Film Craft jurors gave the category’s top prize to John Lewis’ heart-tugging Christmas ad starring a boy and his pet penguin Monty. 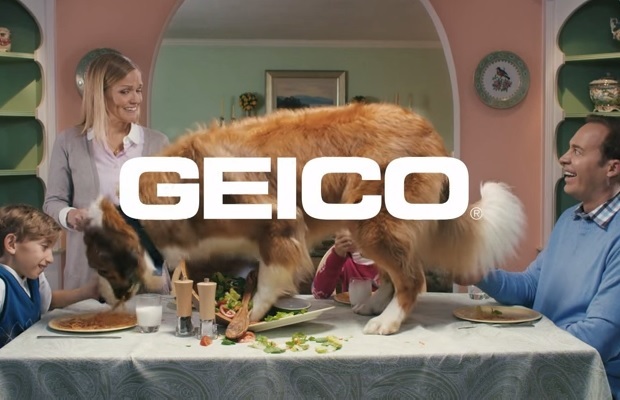 Geico’s preroll ad “Family,” created by The Martin Agency and directed by Park Pictures’ Terri Timely, put a hilarious twist on the typically boring genre and features a family sitting at the dinner table with the Geico logo plastered boldly in the middle of the frame. During the ceremony, Bob Greenberg, Founder, Chairman and CEO, R/GA was also named this year’s Lion of St. Mark in recognition of his outstanding contribution to creativity in advertising and communications. Former US Vice-President Al Gore was given the LionHeart Award for his work in bringing environmental issues to the attention of the world. And the Creative Marketer of the Year trophy was given to HEINEKEN, collected by Jan Derck van Karnebeek, Chief Commercial Officer. •	Agency of the Year was given to R/GA New York. Grey New York came second and Ogilvy Brasil, São Paulo third. •	Independent Agency of the Year went to Droga5, New York. Second place Wieden+Kennedy, Portland and third to Wieden+Kennedy, London. •	The Palme d’Or, given to the most awarded production company, was presented to Smuggler USA. Blink UK came second and Somesuch UK third. •	The Network of the Year award was presented to Ogilvy & Mather with BBDO Worldwide taking second place and Grey in third. •	Also awarded was the Holding Company of the Year which went to WPP. Omnicom took second place and Publicis Groupe third. Sir Martin Sorrell, chief executive of WPP, said: “We are delighted to have made it a quintuplet (or should I say quintuplé?) of wins in Cannes. The holding company award is special because it is a shared achievement, reflecting the hard work, passion and commitment of every member of the WPP family. A big thank you to our agencies and all the hugely talented and creative people within them. Meanwhile, Bob Greenberg, founder of R/GA received the Lifetime of St Mark prize. Nick Law, global chief creative officer for R/GA, said: “We are so honored to be named agency of the year and so proud of Bob receiving the Lion of Saint Mark. “It is really interesting that the work that led to this honor is as multi-disciplinary as Bob’s own career. With wins in outdoor, cyber, film, product design, and innovation, R/GA is showing just how versatile creativity can be,” he added.